Prayer is simply talking with God-yet even Jesus' disciples asked the Lord to teach them to pray. Since that time, godly men and women have elaborated on "the Lord's prayer" to help others find union and intimacy with God-and some of their most insightful comments are included in this book. 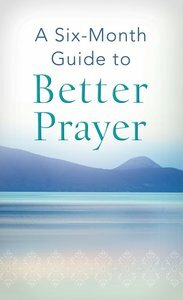 About "A Six-Month Guide to Better Prayer"